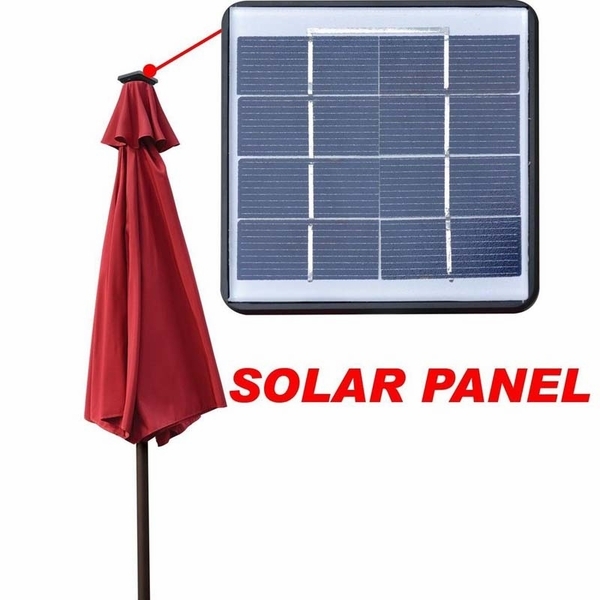 "Wow" your guests with the Sunrise Umbrella Los Angeles 9' Solar Power Lighting Market Umbrella. 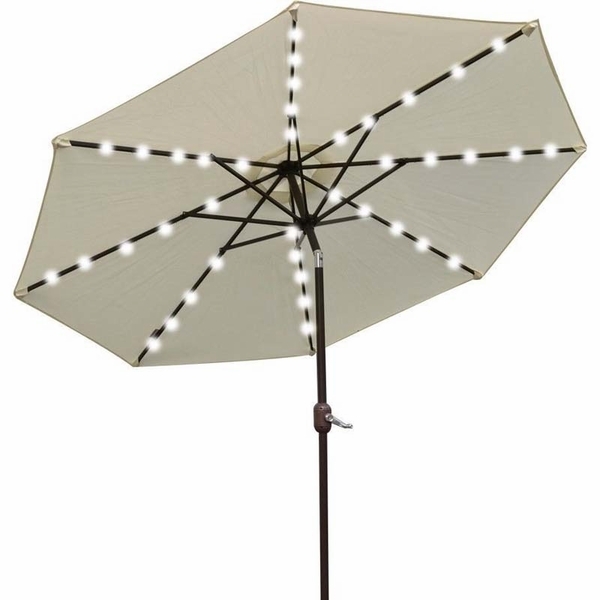 This umbrella shields you and your guests from the sun or rain during the day, but when night falls the solar-powered LED lights will illuminate your dinner party or cocktails beneath the canopy. 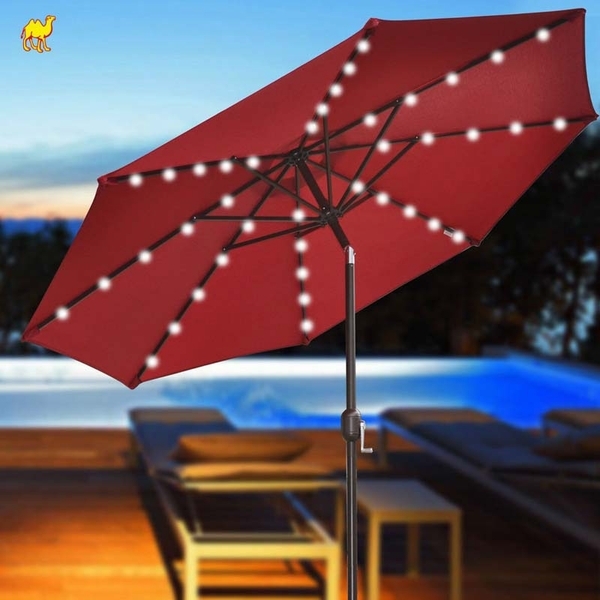 Not only is this umbrella beautiful to see in action, but it also helps save energy and money on otherwise costly outdoor lighting for your nighttime socializing. 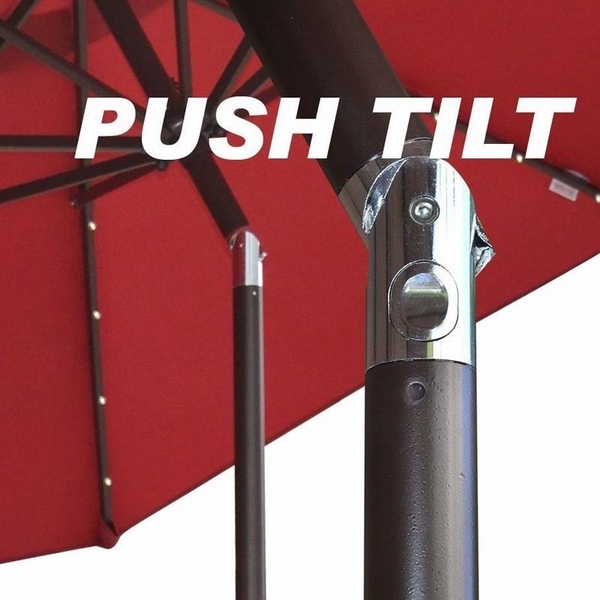 No one wants to be restricted to enjoying their outdoor living space only during the day, so bring this one-of-a-kind umbrella into your backyard today. How do I keep it clean? How do I keep it waterproof? The fabric itself if already waterproof, so you'd just want to keep the surface free from scratches and abrasions. To clean it, first, brush off any loose dirt. Then spray on a cleaning solution of water and mild soap. Use a soft bristle brush to clean and then rinse thoroughly until all soap residue is removed. Finally, allow to air dry. 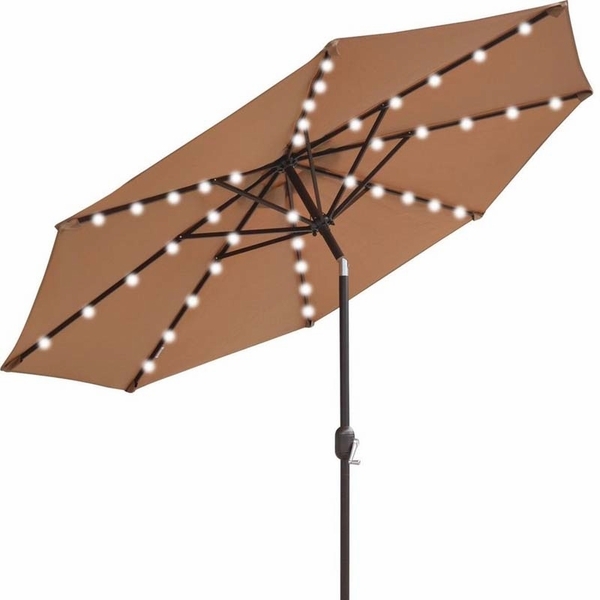 What type of base is needed for this umbrella? 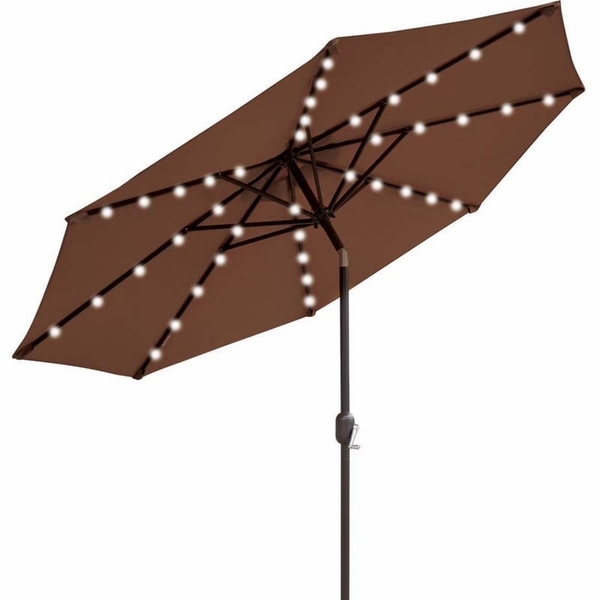 A standard umbrella base that could be purchased at your local home improvement store would be suitable. It does not come with a base. What base do I need to buy for this item? 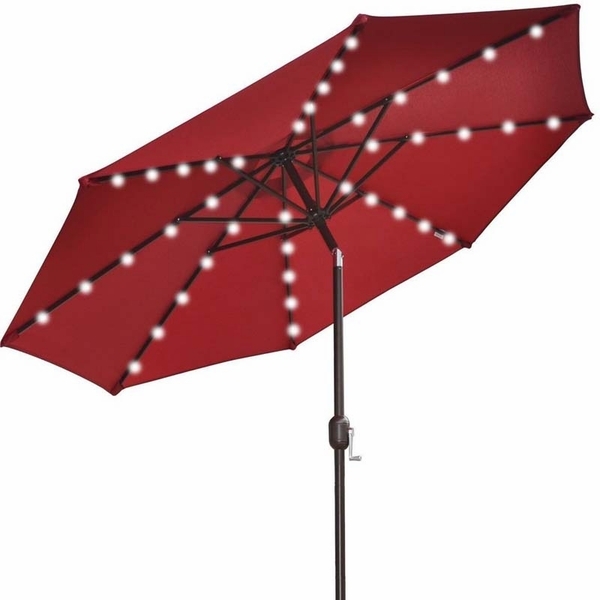 Any of our Patio Bases would work for this umbrella. As long as they fit the umbrella's 1.89" pole. What is the flap and is it essential in the umbrella's operation? Thank you for your inquiry. The "flap" would be the fabric that hangs off the edges of the umbrella. This umbrella has clean edges to the umbrella top. I think the flap is what I call the "tie-around". 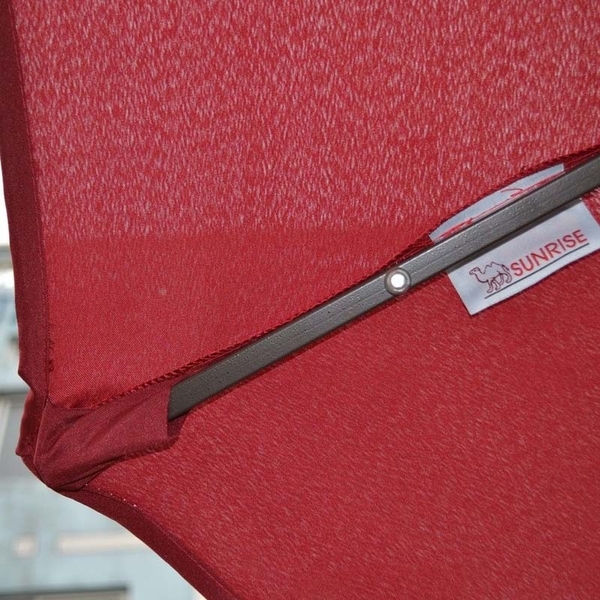 The flap would secure the closed umbrella tightly. It would have been a welcome addition, but in truth, when closed, the umbrella is fine in high winds. We do live where high winds periodically occur and have not had any problems. This is our first summer using this umbrella. 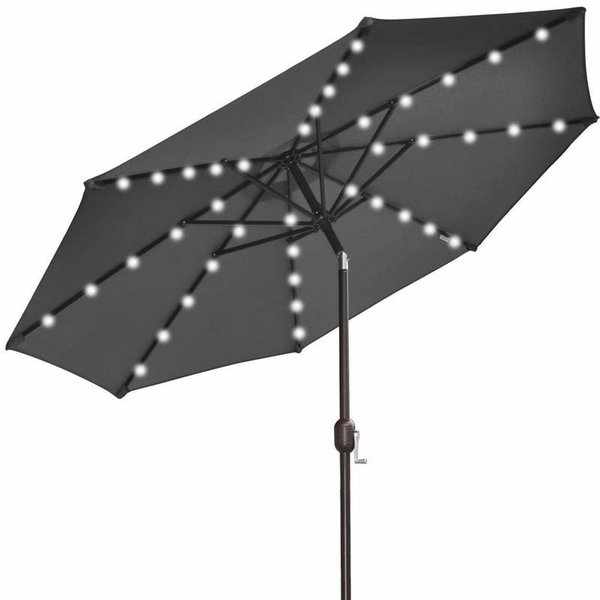 While this umbrella fabric is lighter in weight than our former "Sunbrella" brand, it does the trick. We love having wireless lighting overhead as we enjoy outdoor entertaining in the evening. 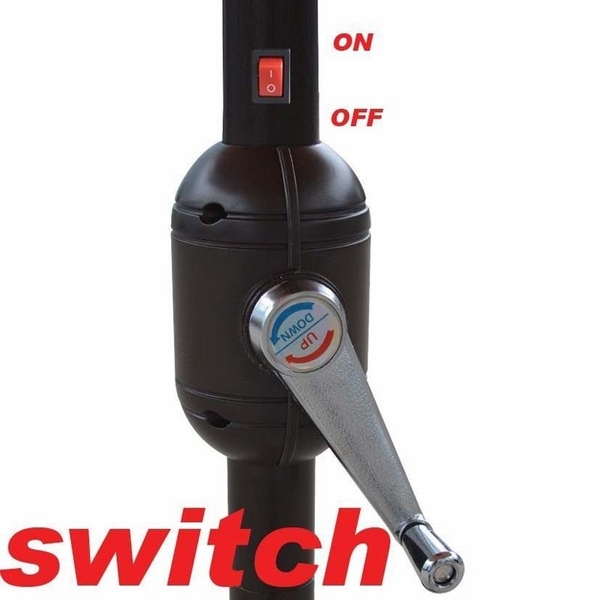 The flip of the switch makes magic happen. There is sufficient soft lighting to see what we are eating while the glow makes for an inviting ambiance. We live in an area that can be subject to high winds, so suggest the addition of a wraparound tie. We have no problems without the tie, but it would be a welcome addition. This is a highly recommend product . . . and we have! ProsProduces a lovely glow over our evening outdoor patio table. Works great with no fuss. Neutral color (beige/tan) blends with our outdoors.